I actually have a bit more of a question than a suggestion. Where did the Old Church that Oto used to have go? I didn't visit often, but it stuck out to me as "missing" when I went to its replacement, Iwagakure. I didn't see it in Iwagakure though. That's what i was saying. I might have missed it, so I'll double check. And maybe now since Iwagakure and Kumogakure are on the map, maybe we can have zones depicting their outskirts? Now we need a zone where there are rocks everywhere, just absolutely covering the zone like a dang forest of stone! No need for a chasm in the center or anything... If all else fails they could use Death Valley. For Kumogakure, maybe a high, mountaineous region where you can practically touch the clouds. One mistep and you can tumble to the very bottom of what seems like the world from that high point. Lastly... Suna is now quite detached. I haven't gone to Kiri yet (since I got trolled in the forest by Kakuzu + Stonehedge) but Suna has options to only go to Jisiegakure or Konoha. Shouldn't Suna also have travel links to at least one other nation? I believe Iwa was given travels to Suna, so it could be made vice versa. If Kiri is detached... Maybe for dem too, but to Kumo. Again, haven't re-visited their parts yet. You mean new locations, like cities, or having the cities more themed? Iwagakure should be, at least I set all hometowns for all Sound Nin to Iwagakure. What I had meant was new zones, since we tend to ues those as transitions between the villages in RP. Plus, it'd be cool to have more zones too. So the Hoshi "location" was outright removed, and now the "Iwa" location is taken up by Amegakure right? Edit: And if that is true... What happens to my Castle again? 2nd Edit: Hold on, it would seem like the color code for "Mist" ninja after you kill Oro got a little switched after "Ninja". Pluus, if you click the beginning of the description for "leaf", you will automatically choose Leaf. The amount of travel points everything takes is way to costly. Especially for Tetsu no Kuni. I think it would be a good idea to either give the players more travel points, or lower the cost. Also, because of the transition, I now no longer have a city house that I used regularly in oto. Would it be ossible to move the old Oto dwellings to Iwa? It's basically just adding zones to the zones we have now, in that same location in the zone fight menu. And Hoshi still exists?! D: Why was I informed but not informed about this! The travel system needs to be reworked. Leveling, for me at least, is pretty much impossible now due to the point system. In my opinion, all that should really be changed is Jesigakure. Make it how Ninja Central used to be -- like it only take two points to get to it from Konoha instead of it taking eight now -- and then place Hoshi back there. In other words, make it to where you have to travel from Jesigakure to Hoshigakure -- the old way -- instead of Jesigakure to Kirigakure to Hoshigakure. That takes up A LOT of points and, like I said, makes leveling nigh impossible. Other then that, though, the villages look fine to me. Wasn't Iwagakure suppose to be the new haven for evil ninja? Based on it being the new Otogakure and description when you choose it as a race, it seemed like it would be. 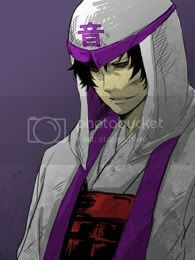 I was just attack by the anbu there, so I'm confused. Wait, you trek all around the SL in-game globe just to level your account? What else do I not know about levelling? Edit: Something productive for the post, where is Hoshi now? I'm beyond the level of Sannin and I can't get to it... Unless it replaced Iwa and Amegakure was never added. Ninja Central > Hoshi > Konoha > suicide > Ninja Central > Hoshi > Konoha. That's kind of impossible now since Ninja Central -- or Jesigakure -- takes eight points to travel to. Also, you go to Kiri to get to Hoshi. Someone also pointed this out to me. Kiri also has the mount shop -- which I forgot about -- and you can get to Hoshi from there, so I, and most likely many others, will still be able to level since 7 > however many points it takes to get to Hoshi > and then however many points it takes to get to Konoha is better than eight, seven, etc. Regardless, though, I believe the costs should still be lowered or we're given more points; whichever is easier. Also, I believe Hoshi is supposed to be Ame, or Jesigakure is supposed to serve as both the samurai land and Ame. It could have also just not been added. Get to Hoshi from Kiri? I gotta see about that one.